I do get on these crazy little kicks from time to time, looking for ways to combine my art with recycling projects. In the past, I've transformed old books into sketchbooks/ art journals, covered notebooks with collages of old paintings, and even made canvas pouches from discarded paintings. 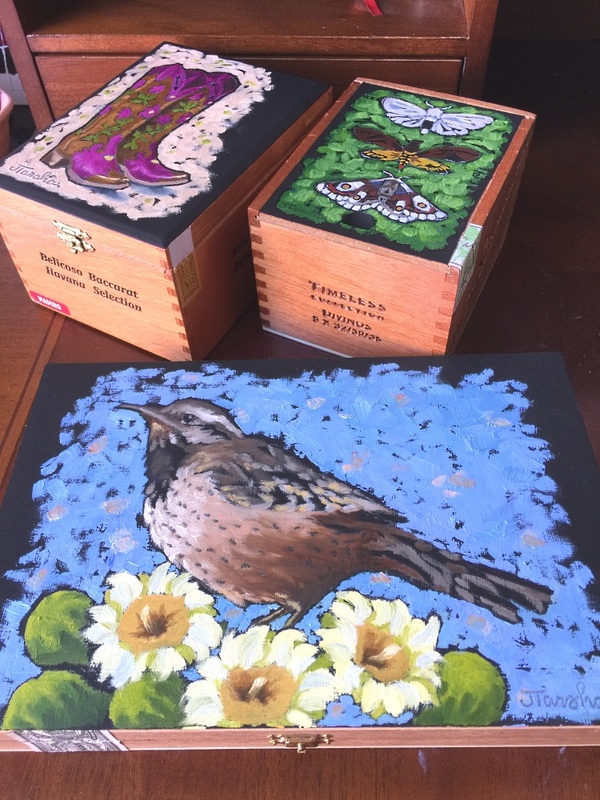 I find painting cigar boxes satisfying in the same sort of way. 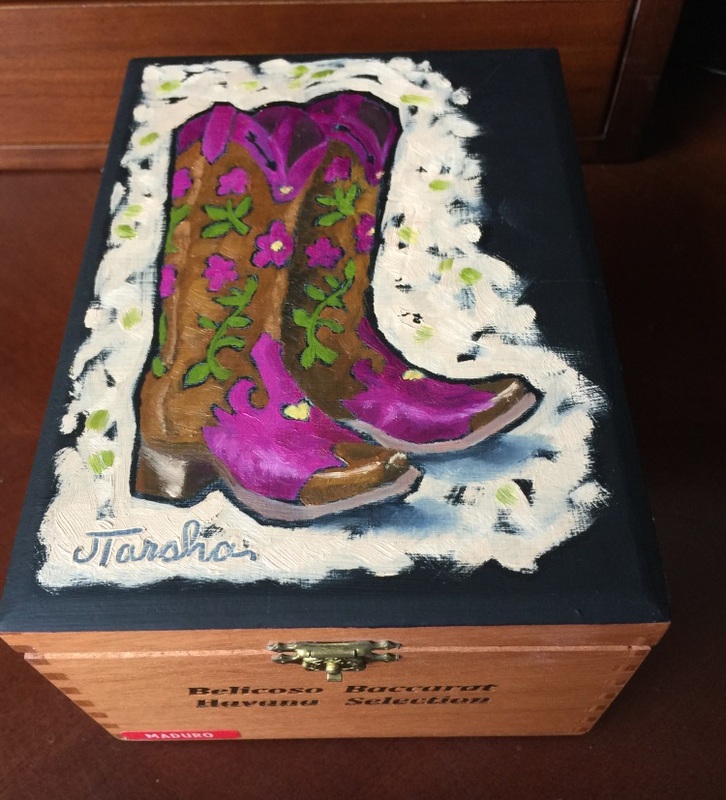 Adding painting to the fine patina of a wooden cigar box really sets off the natural wood, the paper seal, the brass hinges and lock, to make a fine little storage container that's not only functional, but lovely to display. Interested in creating your own? I blogged a little tutorial at Simply Notable. These are my first few, but if they multiply in relation to the happiness painting them is giving me, look out. An avalanche of cigar boxes is on the way!